The title track, "LOVE BOMB" is actually a bop. I wasn't sure about it first, as it starts with that cheerleader chant that characterized so many 3rd gen title tracks. But I like the staccato, fragmented vocals being used as a bass line. 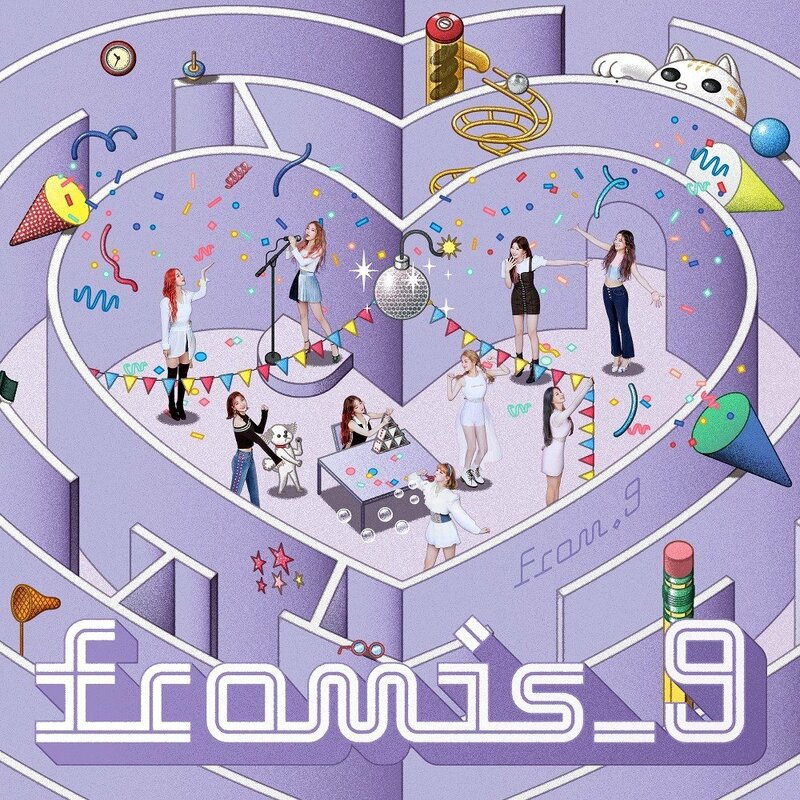 And the great thing is that fromis_9 really gets some power in this song. They've upgraded their singing style and put some guts into it. If I thought they were good before, this is so much better. A serious jam. 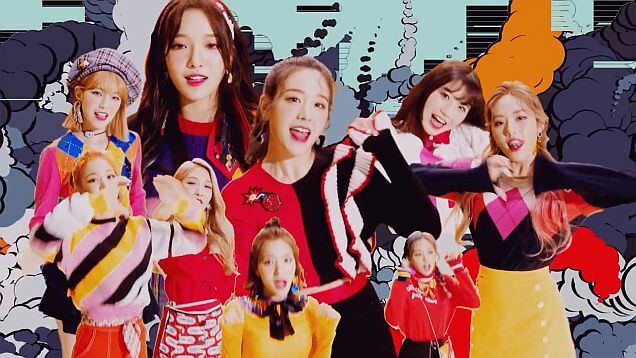 And with this song, "DANCING QUEEN," the girls of fromis_9 join the countless others who also have a song with this title. And it is a mid-tempo club-banger with some cute vocals. One of the things they do well is using the girls that might not have the best singing voices. And they do that nicely. The raps are not all that, but at least they're not terrible. "Coloring" is a fun, bright pop tune. Its heart is a soft pop confection, and it's cute. What amazes me is the vocal power of these girls. I really didn't think they had it in them, and instead, they coax some more filled out voices out of them, to great effect. Their silky, high harmonies work particularly well on this tune. 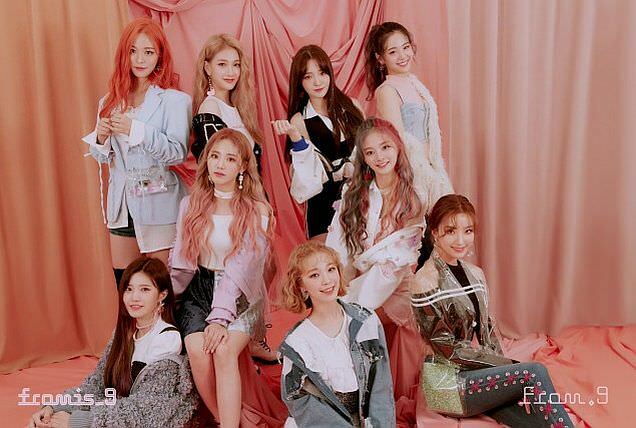 Fromis_9 is one of those bands that straddles the line between cute and great. And they do that extremely well. Too many cute bands don't have much going on beneath the silly outfits and decidedly juvenile looks and sounds. But these girls break the mold and manages to be endearingly cute and awesome. Nice job. But if I liked the album, the MV is a mess. Yeah, there. I said it. They have some kind of psychedelic subplot where they are wearing sparkling candles and using a gigantic match to light them. Um...okay. I think we're heading into Bollywood territory here. For those of you who have never seen one, just understand it pairs okay music with some really bizarre visuals. Now during the chorus, it improves, but then it trades one headache for another with rapid-fire cartoon animations that don't hang around long enough before another one takes its place -- and there are multiple animations going on at once around the screen. It's really more headache-inducing than endearing. That out of the way, the girls of fromis_9 look adorable. They always do. 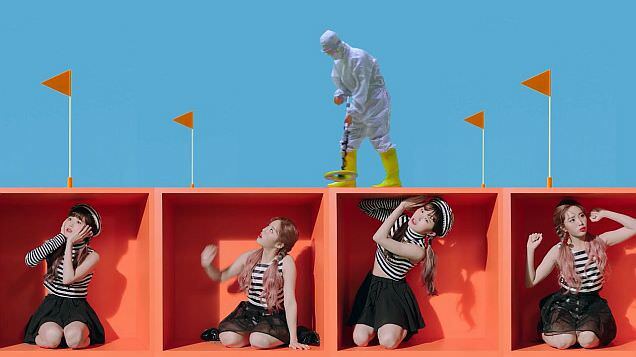 And that is one of the things that really redeems this whole MV. And it's not totally odd either, because there are cute things like one of them with a rocket strapped to her, or another trying to do her work on the computer while others are trying to detonate something. And really, once I watched it a couple more times, I was hooked. Not only do you have a really good song, but�it was also a cute video and lacking quite a bit of the standard aegyo trappings. If you're going to be cute, at least be original about it. Believe me, they were.